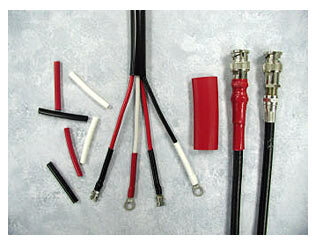 PVC Heat Shrinkable tubing provides excellent electrical insulation and is available in many colors. Heat Shrinkable PVC Tubing has one of the lowest shrink temperatures of any tubing. This tubing is the best alternative foravoiding heat damage for enclosed or adjacent components. PVC tubing shrinks a full 50% quickly at 200°F. The approximately 20% of longitudinal shrinkage allows ripple free conformance around sharp bends to form a tight fitting insulation in most general applications while retaining a high degree of flexibility. 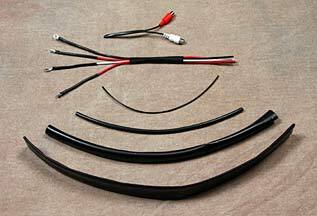 PVC Heat Shrink Tubing resists most chemicals and oils as well as sunlight, moisture and fungus. Also available in irradiated (BD311 below) and 1/32" heavy wall. Layflat PVC Heat Shrink Tubing is a thin-wall low cost material offering good electrical and mechanical characteristics. When exposed to heat in excess of 275°F for a few seconds, the specially formulated polyvinyl chloride material will shrink rapidly and uniformly conforming to the shape of the object to be covered. Layflat PVC is available in diameters from .250" to 6" and larger. the standard wall thickness is .004"- .006" but is also available as thin as .0015" or as thick as .012". For thicker walls use product BD310). Standard colors are white, black, and clear but can be specially ordered in almost any color. 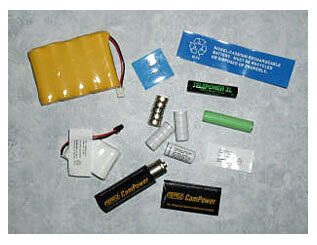 Applications include insulation and jacketing of batteries, capacitors and production of industrial equipment, toys, sporting goods, medical and consumer products. A portable heat gun can be used for shrinking in most applications. BD311 provides excellent electrical insulation along with the lowest shrink temperature of any of our tubings. When high shrink temperatures can damage enclosed or adjacent components this tubing is the best choice. PVC tubing shrinks a full 50% quickly at 100°C. Approximately 15% longitudinal shrinkage allows ripple free conformance around sharp bends to form a tight fitting insulation for most general applications with a high degree of flexibility. Resists most chemicals and oils as well as sunlight, moisture and fungus. Improved solder iron cut-through and abrasion resistance with outstanding dielectric and mechanical protection.